Scientists at the University of Liverpool are leading a £1.5 million project to study `immunoglobulin’, a type of drug which has been shown to ease complex regional pain syndrome (CRPS). The team, from the University of Liverpool and the Walton Centre, who have already conducted previous work with this drug type, will now trial `immunoglobulin’ in a larger group of patients who have suffered from CRPS for between one and five years. The Medical Research Council (MRC)-funded study will start to recruit patients in March 2013 and results are expected to be published in 2016/17. Dr Andres Goebel, from the Institute of Translational Medicine who is leading the study, said: “The immunoglobulin technology is an entirely new way of treating severe chronic pain. It may help people with CRPS whose pain was previously virtually untreatable. “This is also a sign of recognition, by one of the most prestigious research funding bodies in the UK, of the value of developing novel ways of treating patients with chronic pain, which causes such a burden in the general population. CRPS is an unexplained condition that usually develops after an injury or trauma to a limb, and continues after the injury has healed. CPRS I, formerly called Reflex Sympathetic Dystrophy, can arise after any type of injury. CRPS II, previously called causalgia (a term coined in the American Civil War when it was first diagnosed), follows partial damage to a nerve. In some cases the pain can be so severe that patients request amputation, only to find that the pain returns in the stump. CRPS pain can improve within one year after the injury, but if it is still unchanged after 12 months (longstanding CRPS), then it will often not improve at all. Longstanding CRPS affects about 1 in 2,000 people in the UK. The ‘Low-dose intravenous Immunoglobulin in the treatment of complex regional Pain Syndrome’ (LIPS) will be conducted in collaboration with the Clinical Trial Unit at King’s College London at six sites throughout the UK. 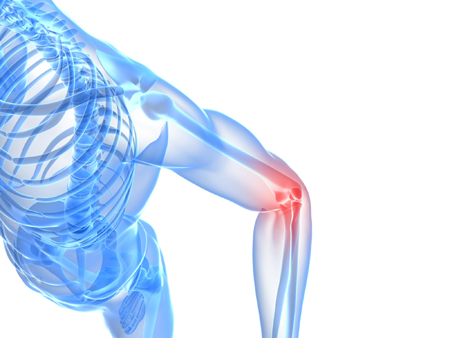 The study is also supported by the Pain Relief Foundation, a charity dedicated to finding better treatments for chronic pain, and Biotest AG, a German company who will supply the immunoglobulin drug free of charge.